Lighting can completely transform a space and update any décor. Instead of using it simply as a functional feature, transform your fixture into a showpiece that can be used to compliment your existing décor. Lighting the foyer between the back door and the garage is a friendly large globe pendant made of balsa wood put together like a puzzle. It might light mail on the table. 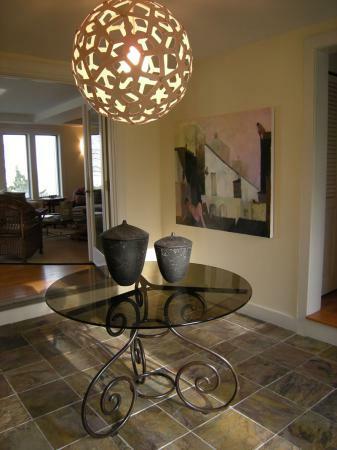 The scroll design metal base under the table top is enough decor to grab your eye. 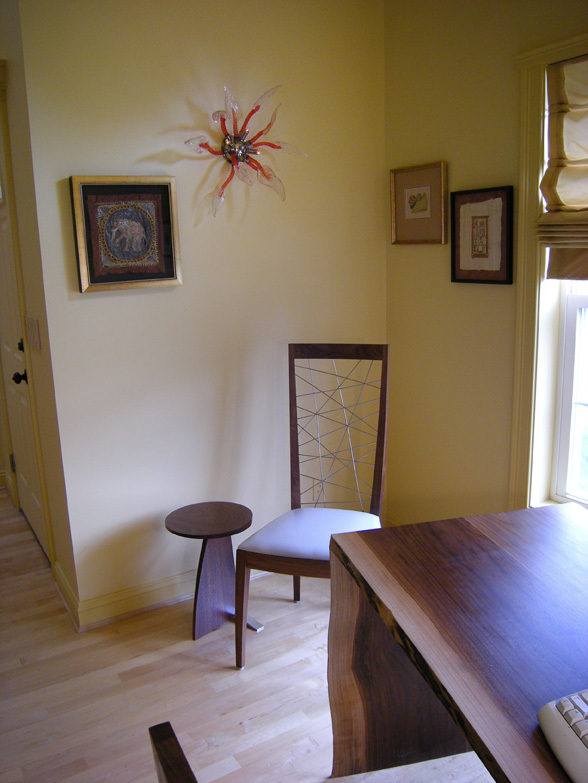 The spikey glass forms of this red sconce light up the art work and custom furniture .